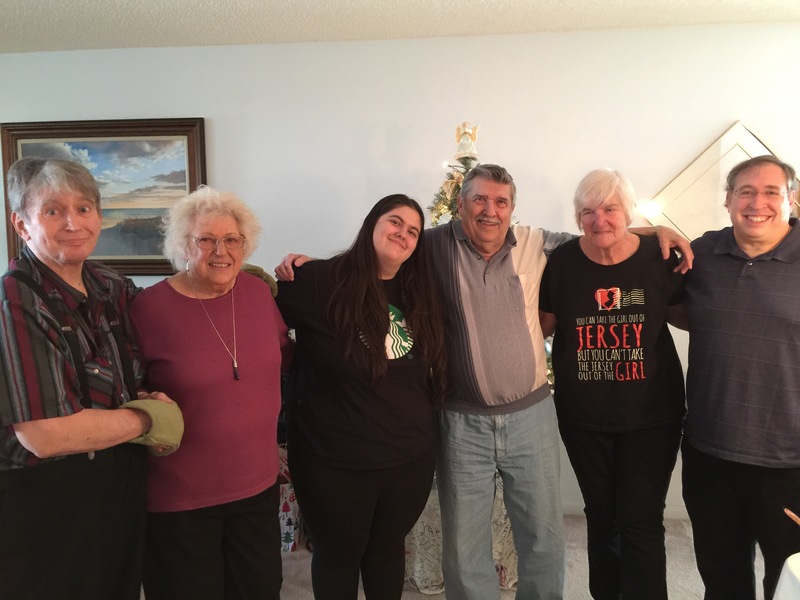 We had a lovely time at our annual holiday visit to Ocala to visit my parents. We flew in on Christmas and celebrated that day, and then the next day my daughter’s paternal grandparents came for lunch. It was a lot of fun. 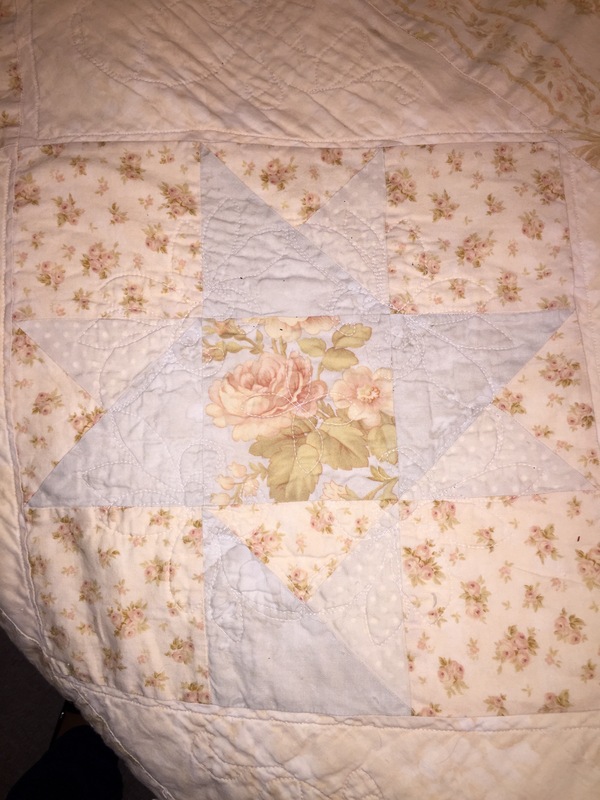 But besides visiting my mom and stepdad, I visited some old quilts and a crafty project. 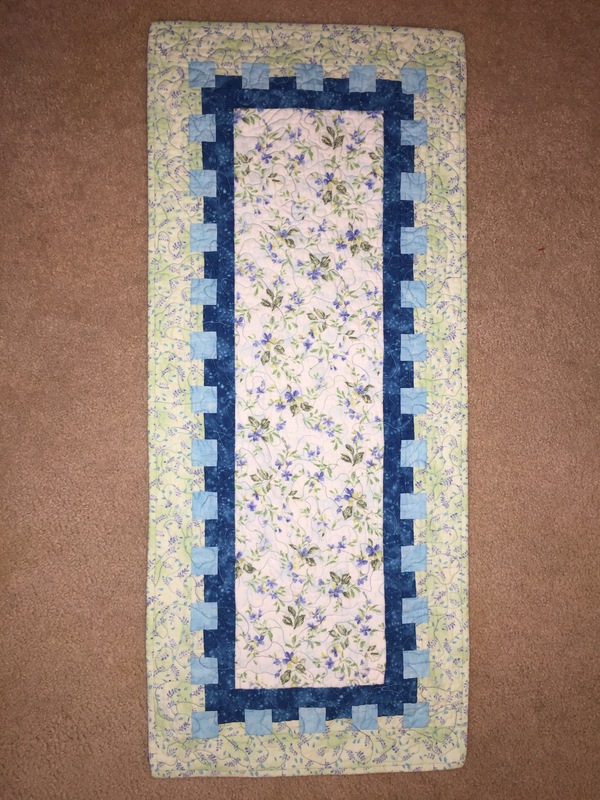 This was the most recent table runner I made my mom. I am glad I saw it as I loved the inner border treatment and forgot about this pattern. I will definitely make this pattern again. 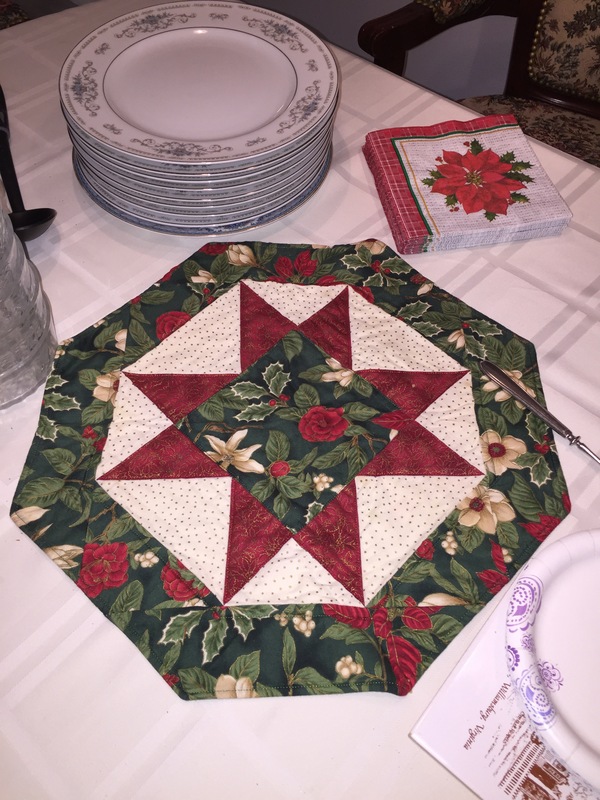 Next were some old Christmas table toppers. Despite numerous washings, they are still in great shape. That was nice to see. I still make quite a few of these table toppers. 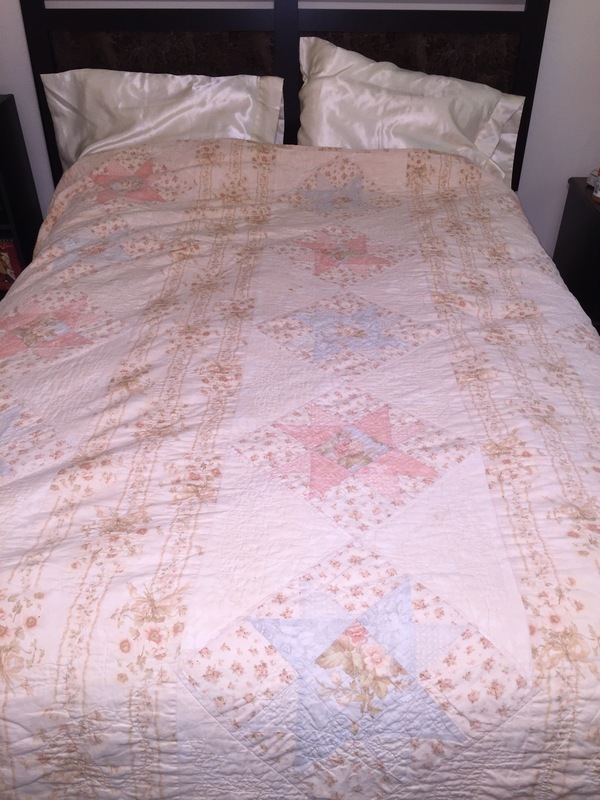 Going back about 12 years is this queen sized quilt that I made my mom. The colors are very faded now, but it was quite pretty when I first made it. 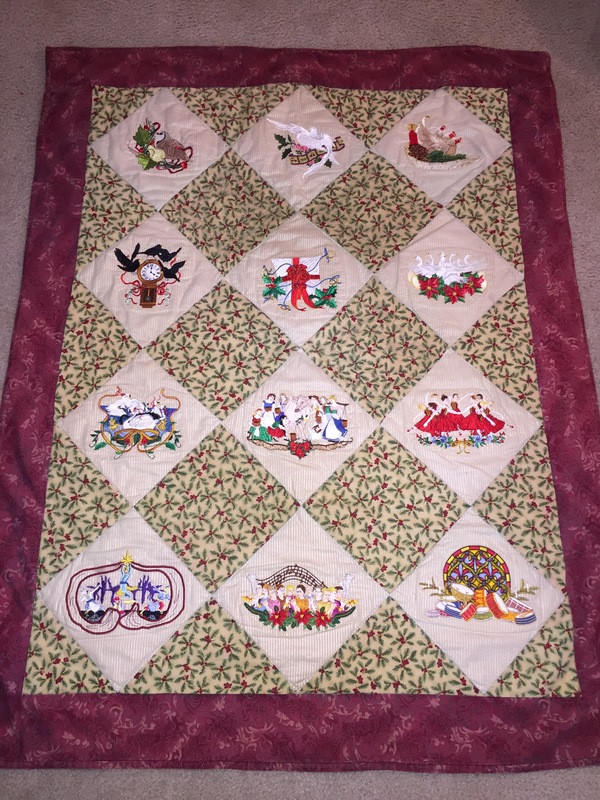 This was my first queen quilt I ever made. There was a lot of fussy cutting. I rarely do that any more. At the time I had messed up one block but didn’t realize it until a couple of yeas later. Oh well… Let’s call that proof it was handmade. 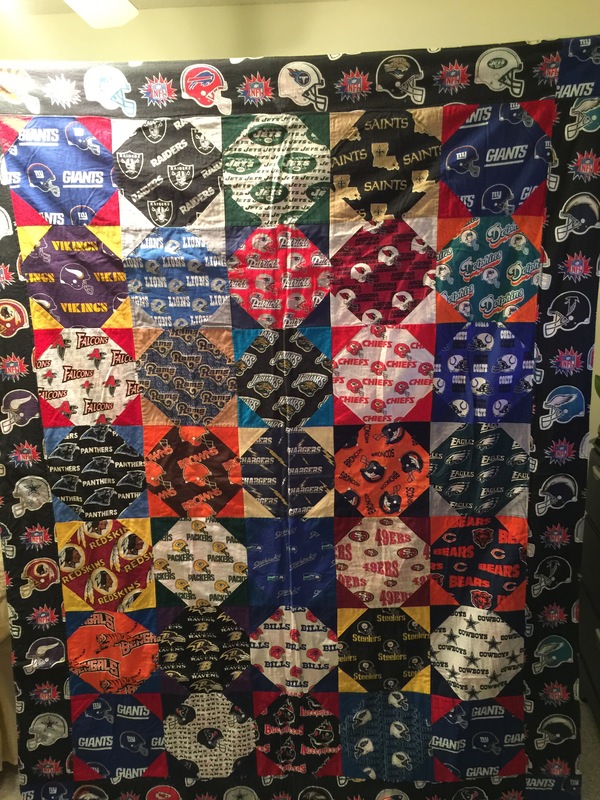 Even further back is this snowball NFL quilt I made my stepdad. Looking at it now, I am horrified!!! But even back then it was from the heart and he loved it. And apparently their cat still cuddles on it. 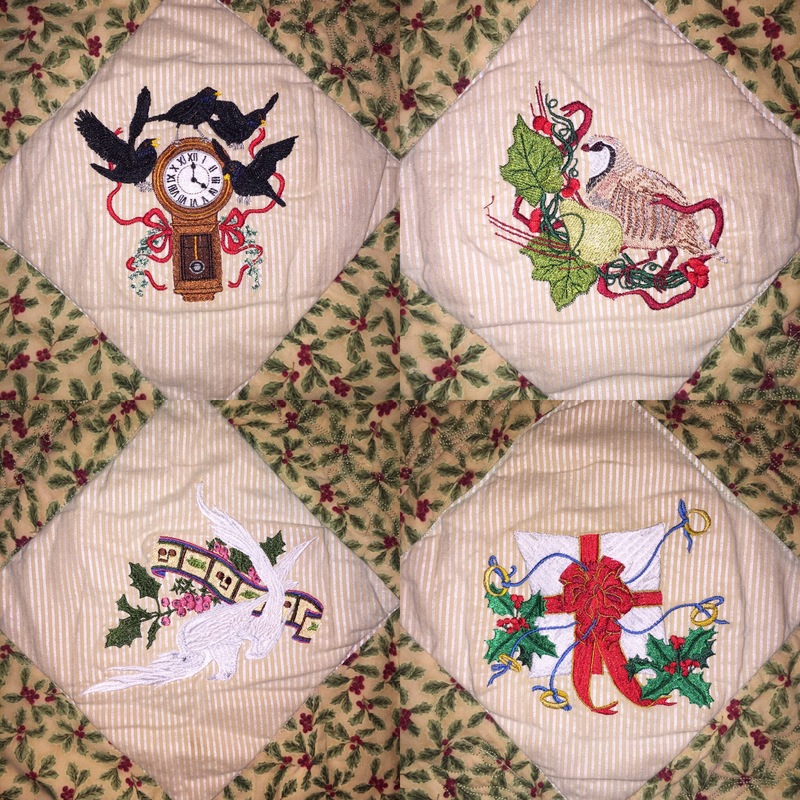 That same Christmas I made my mom this Twelve Days of Christmas embroidered lap quilt. The color on the border has completely washed away but the embroidery held up pretty well. These individual blocked were very intricate and took about an hour each to embroider. It is nice to see that mom still puts this out every Christmas. I may make another one next year. 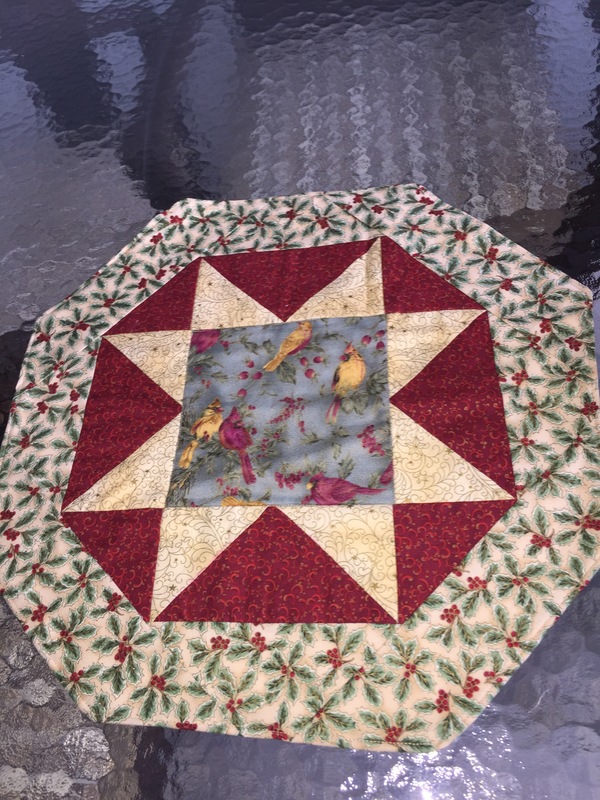 And bringing up the rear is this tree skirt that falls into the craft category. I gave this to my mom at Christmas 25 years ago. Wow. 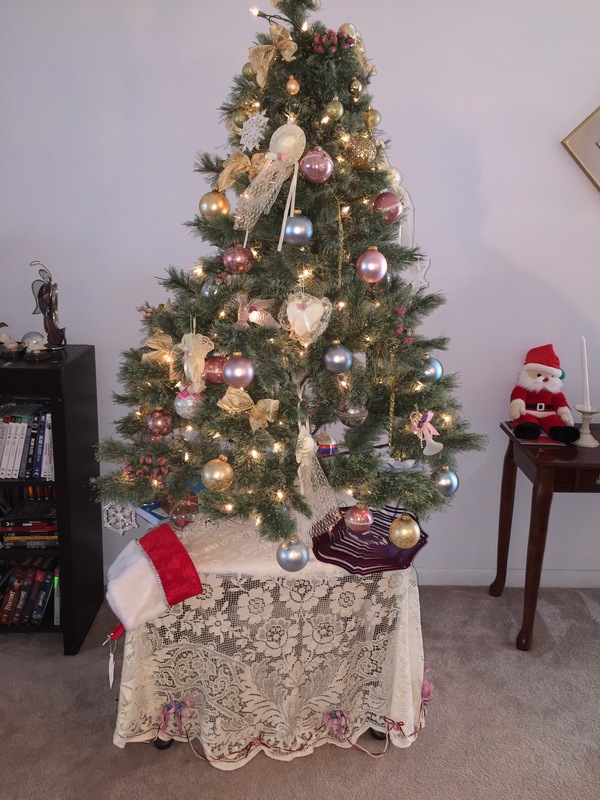 When she and my dad divorced she got rid of all of her traditional ornaments and went Victorian. Everything was mauve and wedgewood blue. So she need a new tree skirt. I barely sewed back then, but luckily I knew how to work a glue gun. 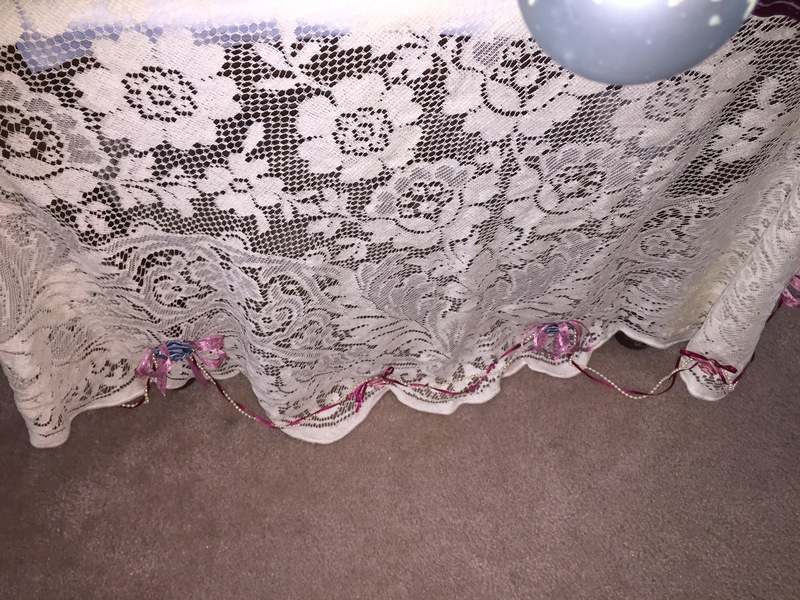 I bought an old lace tablecloth and cut a slit up the back. I used a bias tape to see the sides clean. And then I glued ribbon, strung beads, bows and ribbon flowers along the bottom. I think it took less than two hours all in. That would still work today!